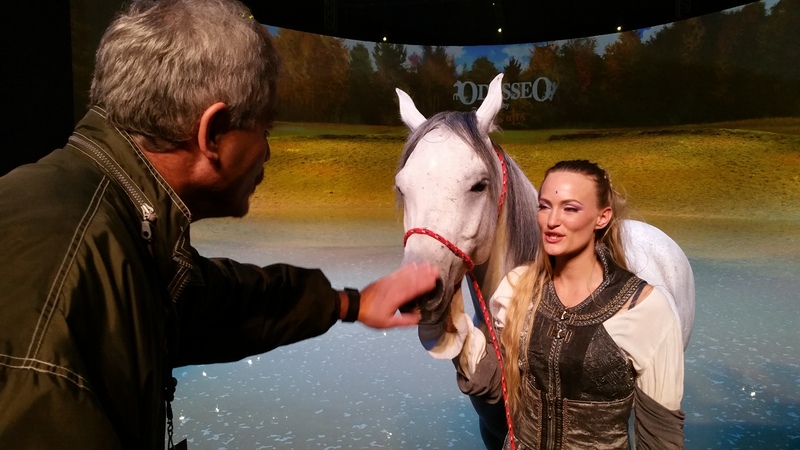 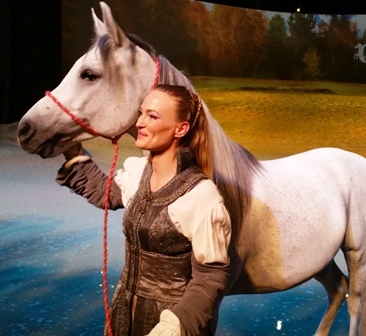 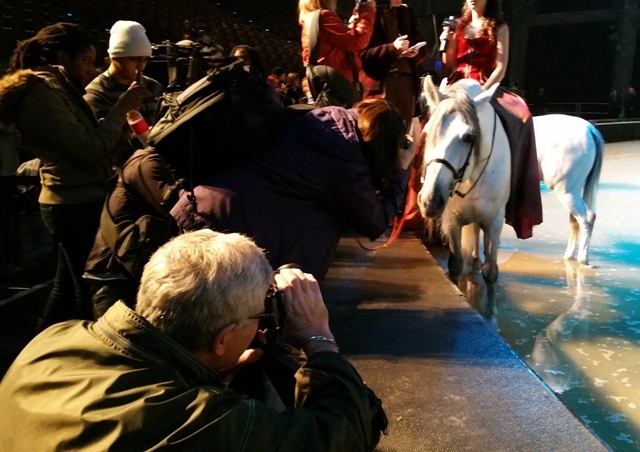 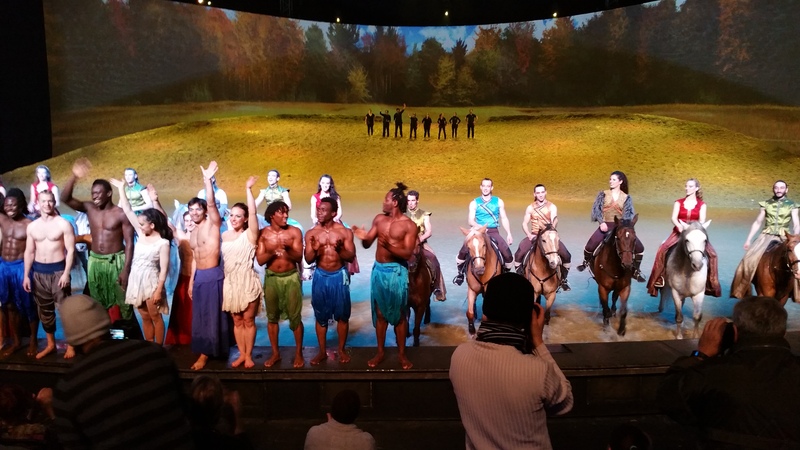 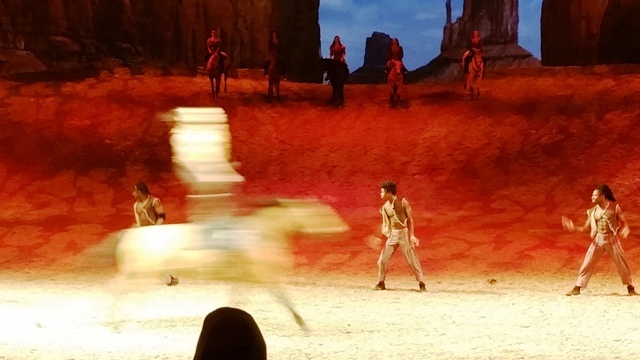 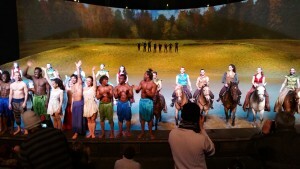 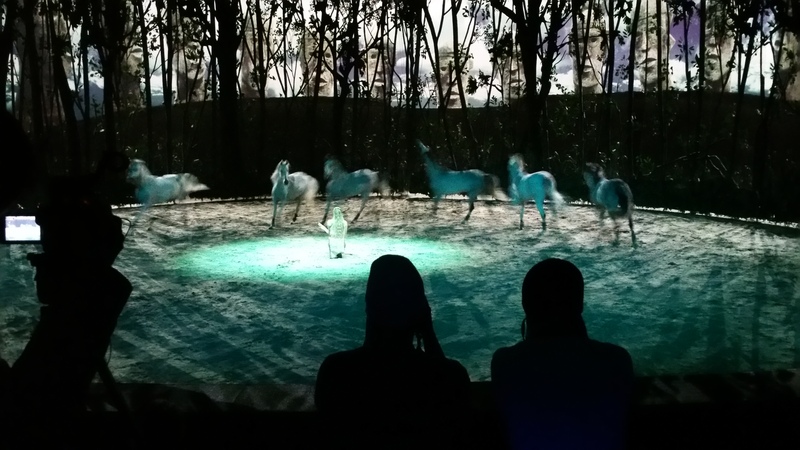 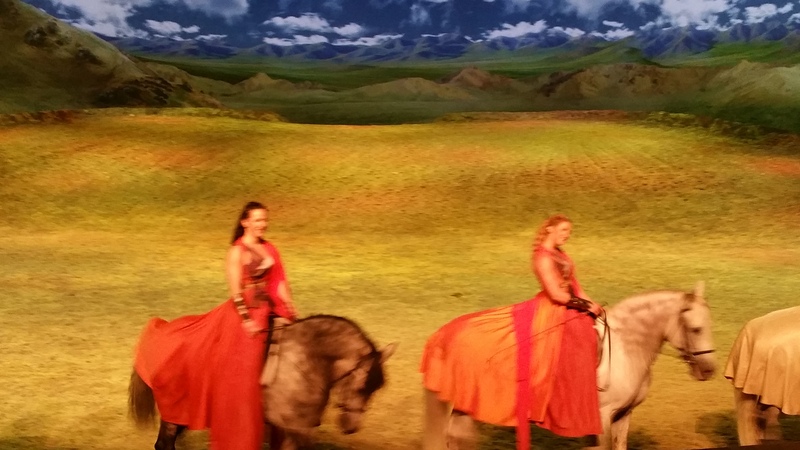 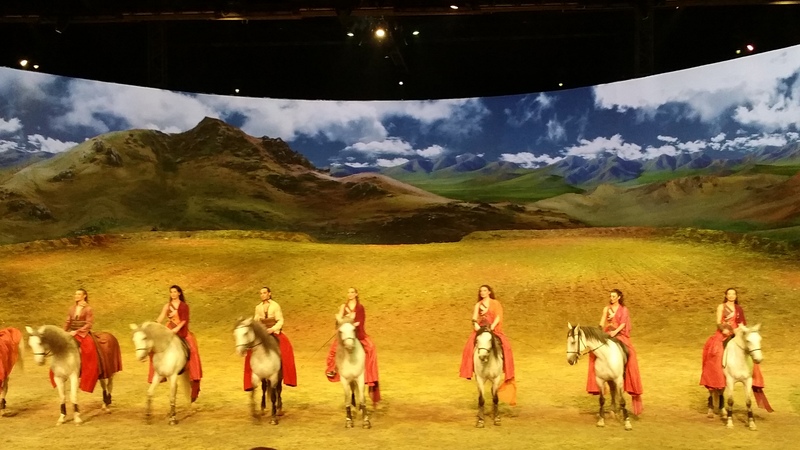 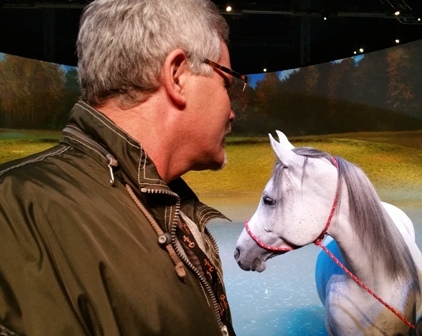 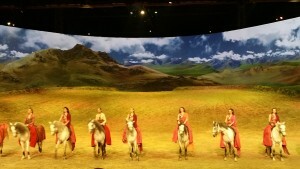 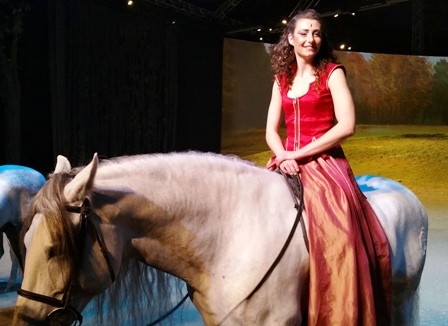 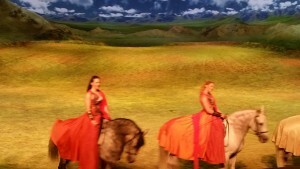 Earlier this week, I had the pleasure of attending the media preview of Cavalia’s “ODYSSEO” show featuring 70+ horses and dozens of riders, trainers and gymnasts performing under the big top down in Toronto’s portlands. We all crammed into the press area and pulled out cameras and spent 55 minutes clicking and rolling as the horses jumped, galloped, and danced to haunting live music, many horses working without reins or any sort of tack – it was amazing to watch how gently and calmly the trainers worked with them. There are many vignettes featuring medieval style dressage (above), and energetic cowboy rough-riding (below) demonstrated…. 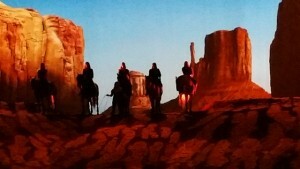 It was difficult to capture the fast galloping trick riders (above) but soon the mood changed once again…. 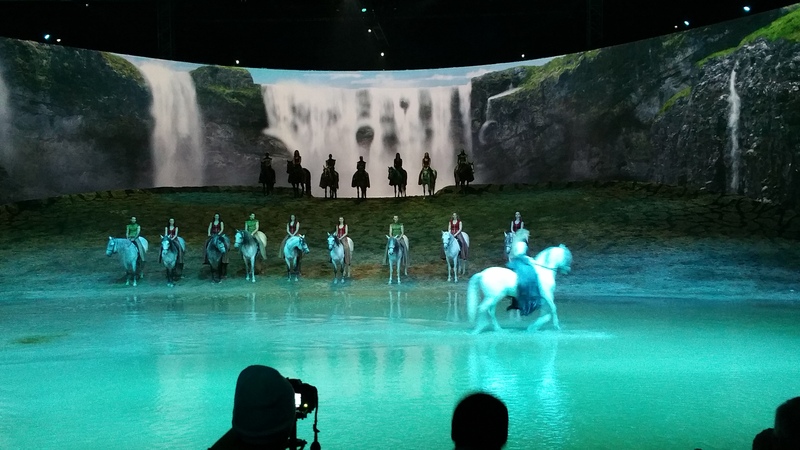 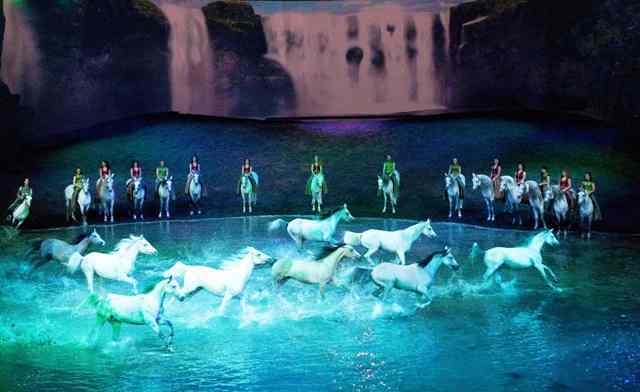 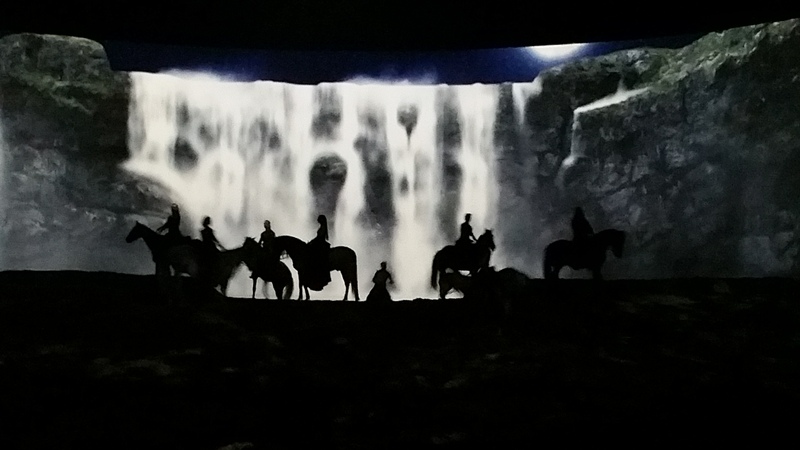 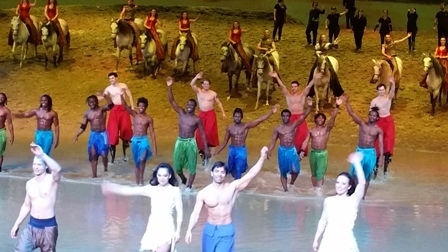 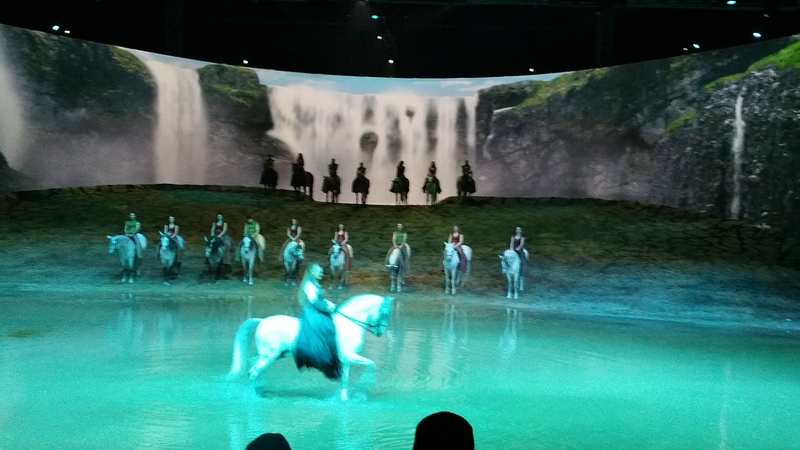 Wow….they filled the giant arena with water, turning the scene into a beautiful waterfall pool where the horses danced like 4-legged water sprites. 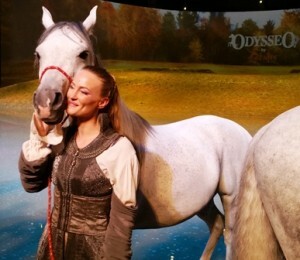 3 years ago, I attended Odysseo when the show first came to town. 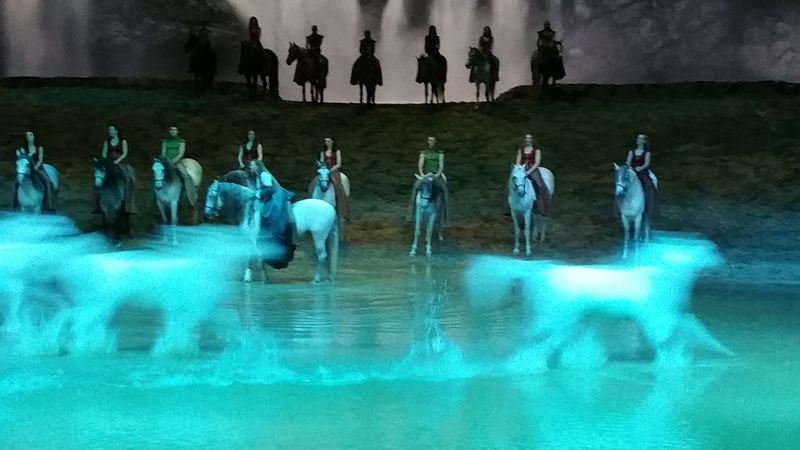 But on Tuesday, I still got the chills watching these breathtaking beasties charge around, perfectly choreographed. 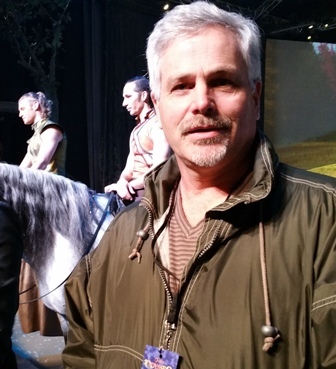 Congratulations to Artistic Director Normand Latourelle for maintaining such a high standard of professionalism and inspiration. 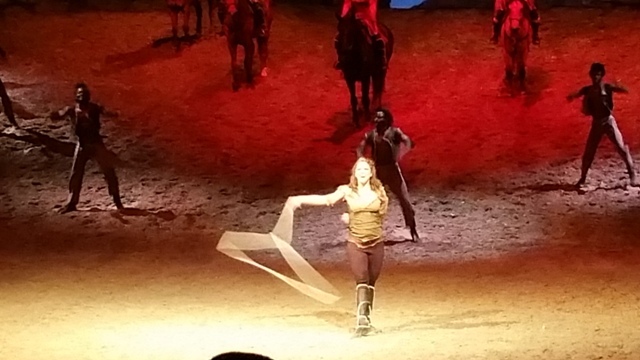 And bravo to all the creative team, the riders and trainers, the musicians and the beautiful vocalist who brought the “middle earth” vibe, and those astounding gymnasts who jumped, bounced, climbed around the arena with such energy and gusto. Equine artist, Bruce K. Lawes (http://bklawesart.com/) came with me to shoot additional photos and he was in horse heaven! 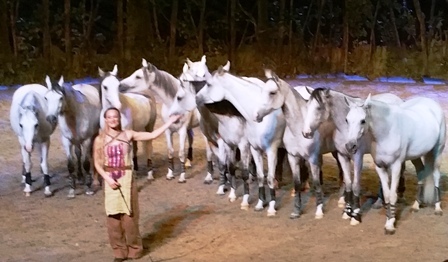 And here’s the amazing trainer who worked with 12 “free” horses earlier in the show.